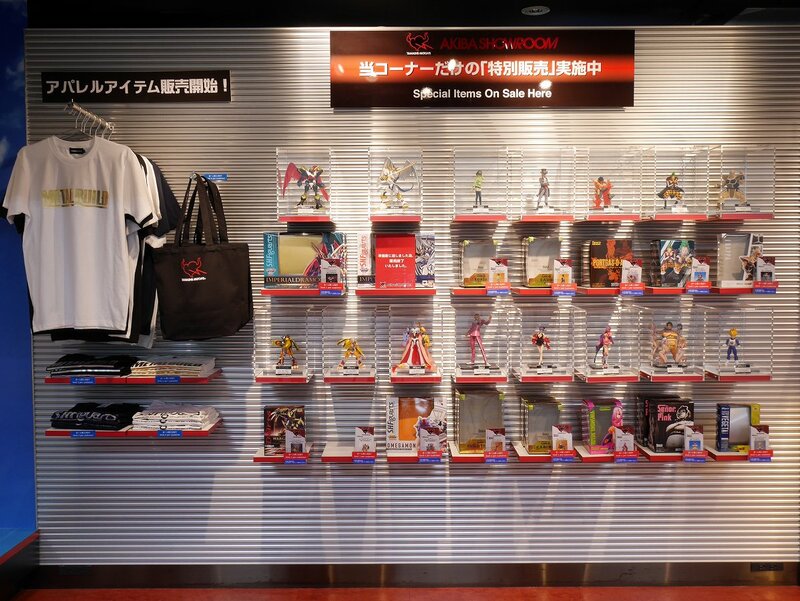 The Exhibition section and Sales Corner at the Tamashii Nations Akiba Showroom has been updated, and in the sales corner is a number of Digimon figures. The sales corner features various 'special' figures, ones that are becoming more difficult to find at lower prices, with a number of held back stock of them being made available for as long as they last. 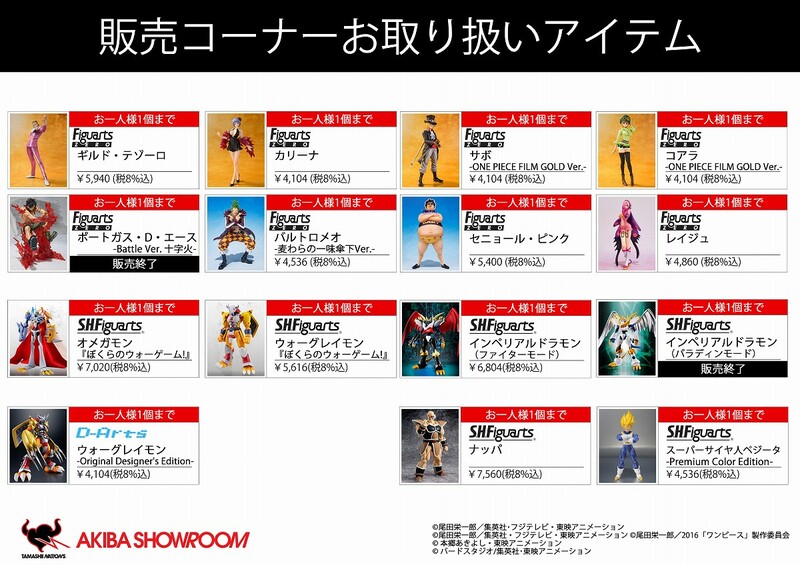 Figuarts Imperialdramon Paladin Mode was listed, but has already sold out. As mentioned, these are limited stock, and each person is only allowed to buy one of each figure they want. If anyone is going to be visiting Akiba during a trip to Japan, it might be worth a look, not only to see if you can nab a figure, but to of course see all the various other Digimon figures on display elsewhere at the Showroom. Why doesn't Bandai make D-Arts Digimon stuff anymore? That is really cool but I bet they're all gone by now. Not really, it just became not worth it to keep a separate line that over time was becoming less specific, so the line was integrated into Figuarts. They planned to start doing figures of more and more games, having a subline defined around 'digital' stuff began to make less sense, especially as branding for D-Arts was starting to get more and more weirdly defined.